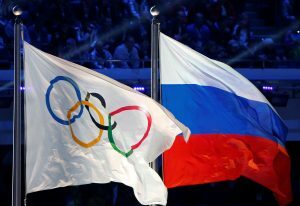 Russia’s track and field athletes will miss the Rio Olympics after the sport’s governing body — the International Association of Athletics Federations — opted to uphold a ban on Friday. The team was first banned by the IAAF in November, following a sequence of reports of performance enhancing drug use among the nation’s athletes. Russian officials responded to the ruling with disappointment, claiming they’ve tried to repair the team’s reputation with IAAF since last autumn. “We are extremely disappointed by the IAAF’s decision to uphold the ban on all of our track and field athletes, creating the unprecedented situation of a whole nation’s track and field athletes being banned from the Olympics,” the Russian Ministry of Sport said in a statement. The ministry contests that the decision blocks all of Russia’s track and field competitors from the games, regardless of whether or not they had a previous history of doping. On Wednesday, Russian Sports Minister Vitaly Mutko made a final plea, on behalf of the clean athletes, in an open letter to IAAF President Sebastian Coe. “Clean athletes who have dedicated years of their lives to training and who never sought to gain unfair advantage through doping should not be punished for the past actions of other individuals,” Mutko wrote, according to The Washington Post. Yet on the same day, the World Anti-Doping Agency released new details about the track and field team’s doping efforts, including that during a drug test, one athlete attempted (and failed) to smuggle in a sample of clean urine by hiding a container inside her body. Russia’s summer athletes aren’t the only ones facing a drug scandal. Last month, the New York Times reported that many of Russia’s biggest stars from the 2014 Winter Olympics in Sochi were part of a state-run, performance-enhancing drug ring.